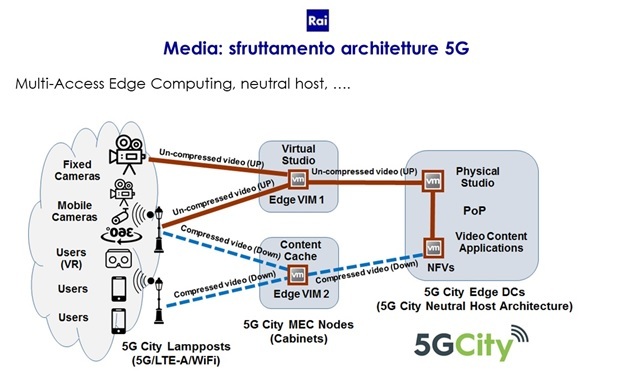 While previous generations of network technologies have been designed as general purpose connectivity platforms with limited ability of adaptation to different use cases, the situation changes in the definition of 5G networks. The 5G creates a new ecosystem that allows the involvement of vertical markets such as automotive, energy, food and agriculture, media, entertainment, city management, government, health, production , public transport and many others. Media Companies are experimenting as vertical actors for the purpose of evaluating the impact that the new generation of network will have on the overall TV production workflow.